Sometimes finding ideas to try for your bullet journal can be the most challenging aspect of creating a bullet journal. You want to try every spread and theme out there, yet at the same time you don’t want to over-complicate your bullet journal either. Keeping a consistent theme for a month can help provide some consistency while getting the opportunity to showcase your creativity! 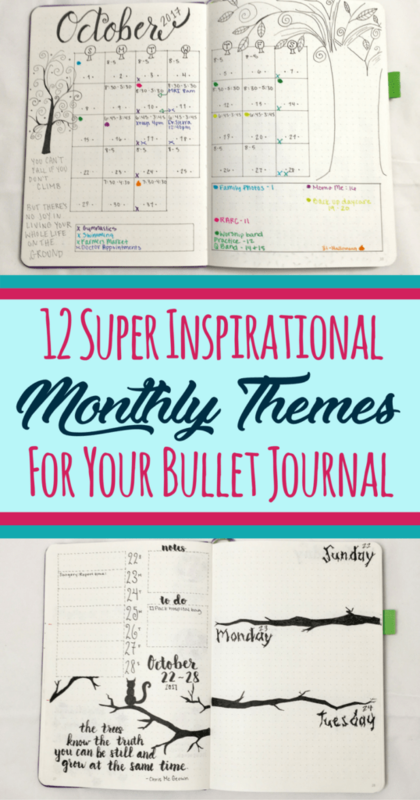 These 12 inspirational bullet journal monthly theme ideas will help provide some direction and motivation. You can use all twelve ideas for an awesome year of bullet journaling, or just pick a few! Take a look at this beautiful floral cover page by Elizabeth! 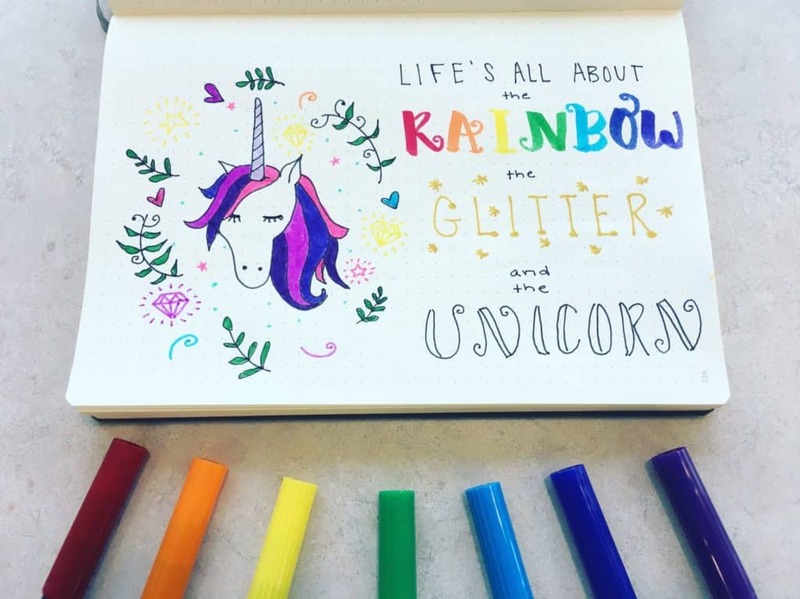 Check out her Instagram for more beautiful bujo spreads! I’ve written an entire article on the components for a good monthly layout setup. 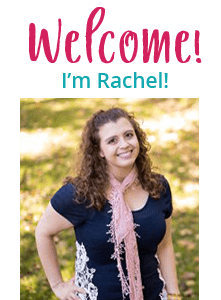 However, using a theme for an entire month also means that you will create weekly (or even daily) layouts that will also correspond with the particular theme. When you choose a consistent theme for a monthly layout, you have two choices. You can keep a similar look for each page, with each page showing the same doodles and designs. Otherwise, you can try variations of the theme to give each page individuality. How you display your theme within your layouts is up to you. Some people use the theme as a decorative means. They portray the theme in empty spots with doodles and relevant quotes. Other people choose to build their theme directly into whatever spread they’ve created. What Do You Need to Make Awesome Themes? I make amazing spreads with my favorite Tombow Dual Brush Pens! 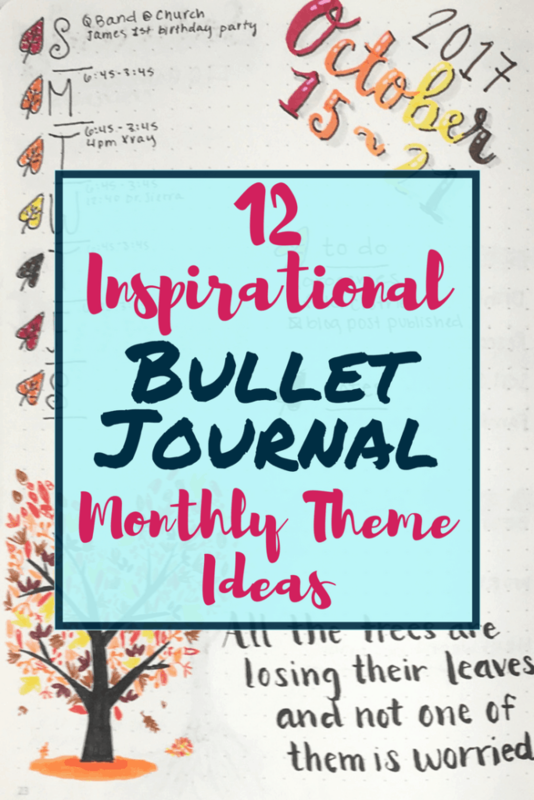 What do you need on hand to create these amazing inspirational bullet journal monthly theme ideas? Honestly, as much or as little as you want. If you have no supplies and want a starting point, then definitely read this article about my favorite bullet journal tools! More minimalist themes will require fewer supplies. You’d be amazed how a black fineliner and a ruler can make some stunning bujo pages. On the other hand, more colorful and detailed themes may require more tools to make the theme beautiful. Here are some of my favorite tools to add a little color and flair! Themes are timeless and don’t necessarily have to be tied to a specific month. Well, maybe with the exception of Christmas or other specific holidays… If you choose to do all 12, you can create your year in this order. Or you can scramble the order! The other thing you may notice is that some of these themes have elements in common! For instance, take mythical and underwater themes. Both themes can use “Mermaids” as a design choice! bumblebujo makes my absolute FAVORITE floral spreads! Go check out her Instagram to see the rest! The first of the inspirational bullet journal monthly theme ideas I want to highlight is flowers. Flower themes are always popular because there are hundreds of flower choices to choose from. Everybody has a favorite, too! I think it’s also popular because flowers can look realistic or abstract. Flowers can literally be any color you desire. Additionally, floral themes can be decorative for pages, or specifically implemented as part of a layout. This beautiful spread by Alex is perfect for a nighttime theme! Check out other inspirational ideas on their Instagram page! Does nighttime bring thoughts of a full moon? Do you think of owls hooting in creepy forests? Or do other images or symbolism come to mind when you think of night time? You can go bright or beautiful, or spooky and dark if you’d rather. Regardless of choice, the variability makes this an excellent monthly theme choice. Jellyfish are so beautiful and vibrant, perfect for an underwater theme! 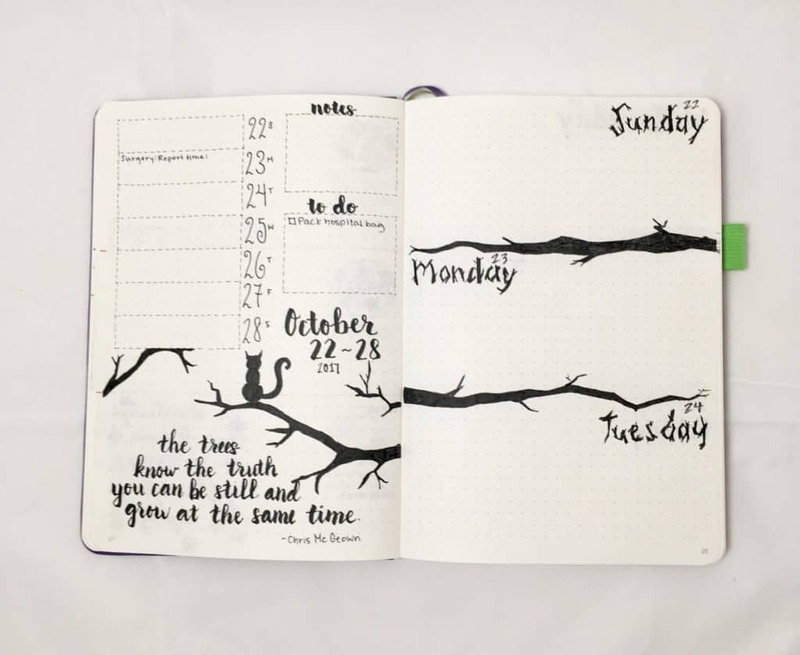 Check out Srish on Instagram for other inspirational bullet journal monthly theme ideas! Most of you probably think of the ocean when I say underwater. Well, if you think about it, the ocean alone provides enough ideas for excellent theme pages for a whole month! If you’d like some other ideas for great underwater themes, don’t forget about bathtime, rivers, lakes for even more inspiration! Flamingoes are perfect for a tropical theme! Check out Maria Adele’s lovely Instagram for more ideas. Beautiful beaches and palm trees. Tide pools and starfish. Hula dancers in the bright sunshine. Tropical rainforests and animals. There is no shortage of lovely ideas to turn your bullet journal theme into a tropical paradise! No matter how you choose to create a tropical theme, you can’t go wrong! Get more inspiration by these.thoughts.are.mine on her Instagram page! Lions, tigers, and bears, oh my! There are so many animals out there to draw inspiration from for inspirational bullet journal monthly theme ideas. Whether you do land, sky, or sea, you will have plenty of incredible ideas to fill up an entire month easily! Pacific Notation always has great inspiration for the geometric category! Check out their Instagram page! So many fun ideas to try with fantasy! Check out Leona’s Instagram page for more inspiration! Where do you fall in the battle of mermaids versus unicorns? Or what is your favorite fantasy book? Should you choose to try out a mythical monthly theme, there are so many fun ideas to draw inspiration from! Lovely crystals and gems make a beautiful theme! Check out this lovely page by Lily Ann on her Instagram page! Whats your favorite gemstone? I’m sure many of you probably know what your birth stone is! Gems and crystals make for a fun theme to implement in your bullet journal! They are not only beautiful to decorate the page with, but you can also use them for trackers! Specifically, a mood tracker for a gem-themed month would be very fun! Instaliddy never disappoints with ideas for beautiful landscapes! Go check out her beautiful Instagram page here! You can create mountainous scenery, lovely lakes, or even city landscapes! No matter which type of landscape you love most, they make for lovely themes that everybody admires in a bullet journal. What is your favorite holiday? Holidays are often a great idea to adorn a monthly theme as there are so many different directions you can go for decoration and design! Plus you can make the corresponding trackers and collections for the holidays in the month! In fact, if you felt really ambitious, you could probably dedicate each month of entire year to fill a bullet journal. August- While the month of August doesn’t generally have an associated holiday, there are some great days you could showcase for August! For instance, August 3 is National Watermelon Day. Additionally, August 10th is National S’more’s Day! Keep in mind that if you don’t live in the United States, you may find that this list doesn’t correspond to your country’s calendars. For instance, those of you in Canada celebrate Thanksgiving in October! However, the intention is to provide a list of holiday ideas. Additionally, if there are other holidays within a month that are more important, you could also use those instead! Similarly, you could dedicate an entire month to every holiday! you celebrate. 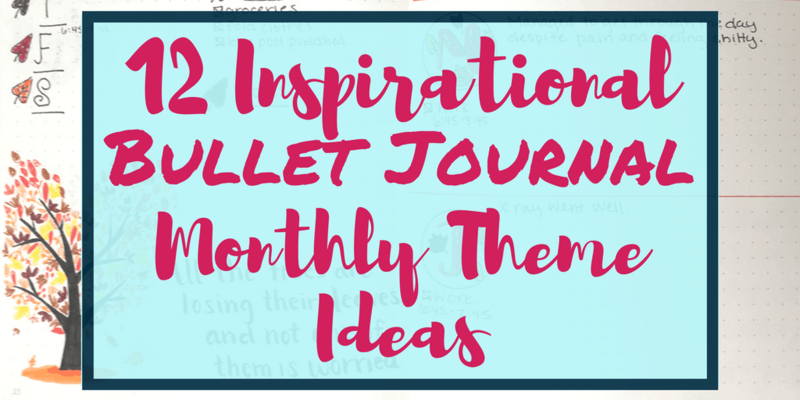 No matter what you choose, there are many inspirational bullet journal monthly theme ideas to try out for this category! Sarah is so inspirational and she had a great space theme for a month! Check out her Instagram page to see the rest! Space is so vast. Looking at night sky alone is evidence of this. Stars, constellations, planets, galaxies, comets, and so much more. Space is such an inspirational theme, and you have no shortage of amazing ideas to try out. An example of my weekly page from a monthly tree theme. 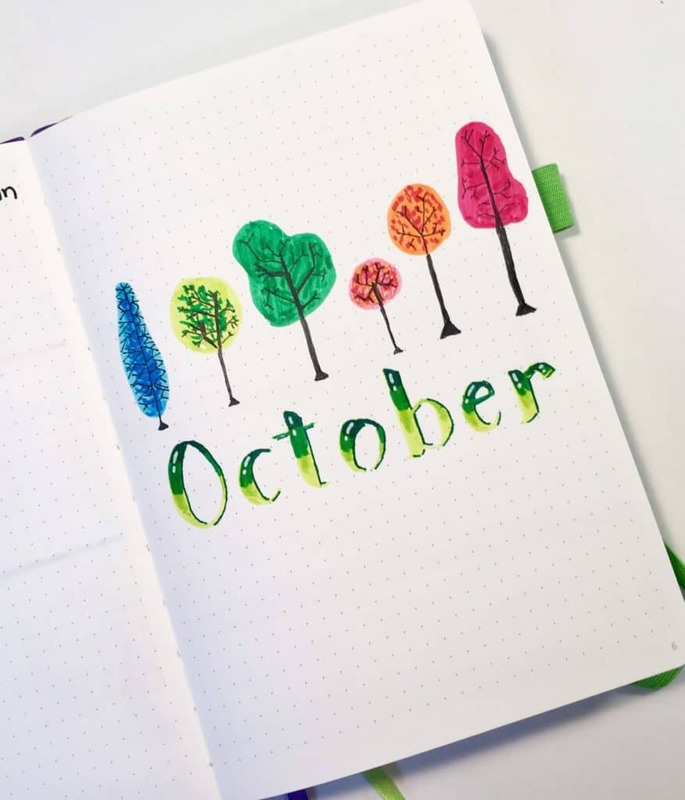 Trees may not seem very exciting, but it’s actually a really fun monthly theme choice. I just did it for my last month, and it was a blast! Trees can be young or mature. They can be full of leaves, either green or colored for autumn. You can draw the different components of a tree, such as the roots, branches, leaves, and stumps. Additionally, there are so many different kinds. You will not be disappointed if you try these for a monthly theme! Where to Find Monthly Theme Inspiration? 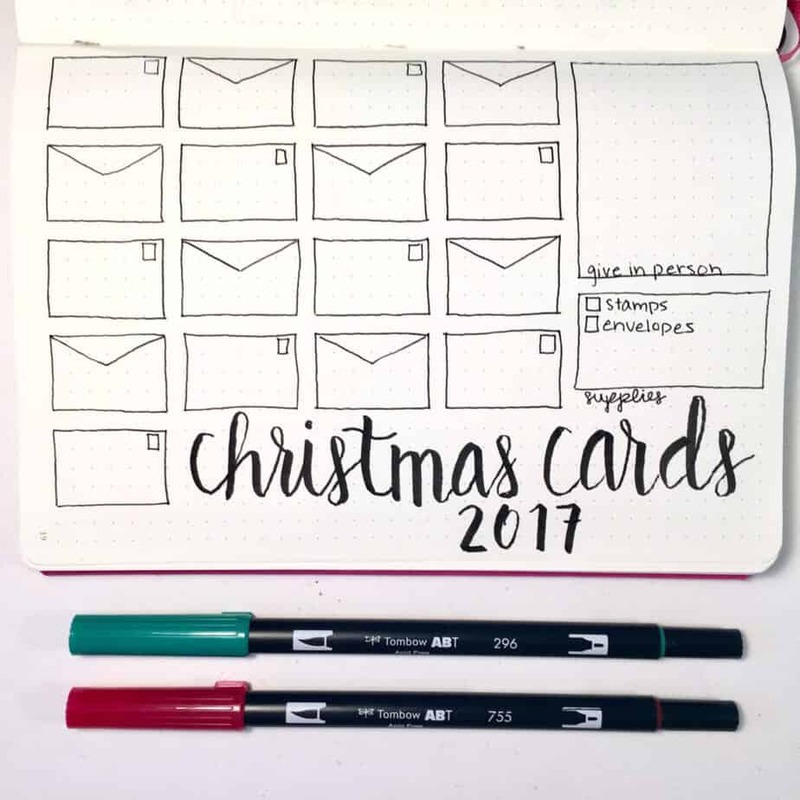 Pinterest, Instagram, and even Google are great choices for inspirational bullet journal monthly theme ideas. However, those suggestions alone are relatively vague! So I’d like to provide a few of my personal social media accounts as a reference to get started! You can find images like these (and more!) on my Pinterest boards! My Pinterest account has boards for doodles and quotes, both of which contain pins of many of the elements I suggested for ideas. In fact, if you want to be really ambitious, check out all of my other bullet journal boards! Lots of great pages and articles to read for even more inspiration. My Instagram account is also a lovely starting point. If you aren’t sure where to start, check out some of the people I follow! Or even click on one of my own images and click on the different hashtags I use. Instagram hashtags are a lovely way to sort out more specific kinds of images. What’s your favorite theme for a bullet journal? I’d love to hear about it, so take a moment and tell me in the comments! Did you love this inspirational post?